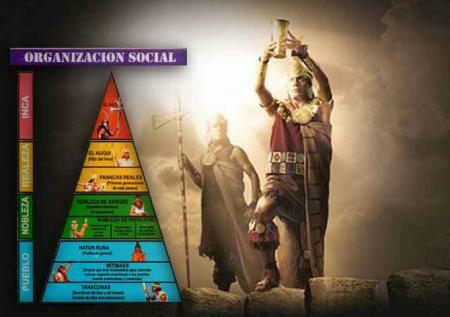 The Inca social structure was rigid in terms of ethnic relations and function, it was born from power. In Inca times the structure was not based by economic status but by functions to be done within each community. The Incas were the ones leading the power over many lords of ethnic or chiefs , and these lords and chiefs over other in lower levels ,they could use the taxes but not freely , everything was totally controlled and provided through intermediary scales. Being the lineage of the Incas had a lot of prestige and privilege , especially the lineage of Pachacutec who was distinguished among the main Inca chiefs. The privileges were shared with other members of the lineage, a privilage was having lands for their own benefit , privileged people knew which land to choose like the ones in the Sacred Valley and Machu Picchu, the lands highly valued in Urubamba.